She was absolutely glowing as she walked down the aisle toward the beach, the first of two times she’d be doing that on this special day. 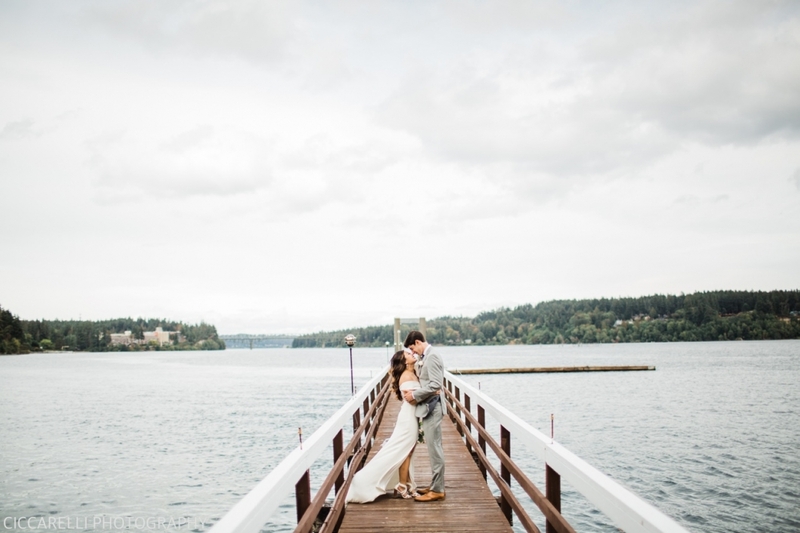 As she approached his back along the water she called out, “no crying!” because she’d already cried happy tears while her mom helped her with the dress and knew there’d be more during the ceremony too. Christian promised, but certainly had to choke back the tears as he turned to see his beautiful bride before we whisked them around the Kiana Lodge property, taking windy photos along the pier and listening to these two chat about their mornings and what they couldn’t wait for during their ceremony and reception. 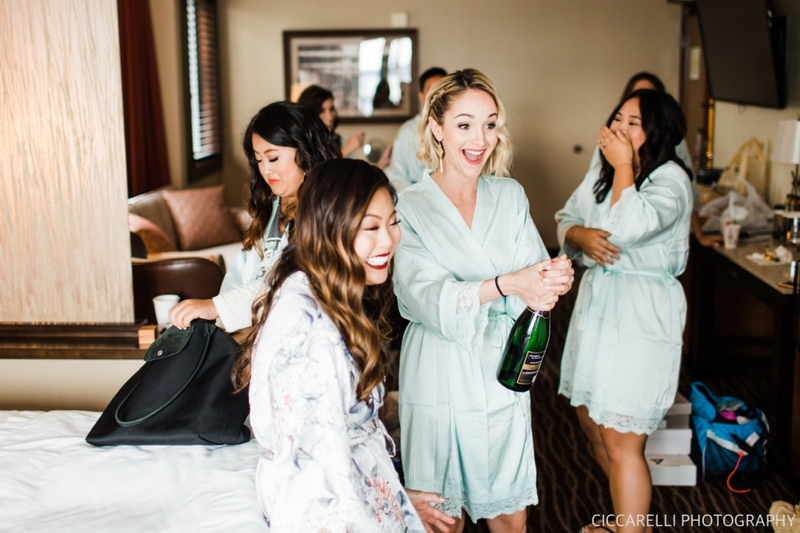 That’s what happens when two best friends get married. They can’t take their eyes off each other, they talk about everything and nothing, and they just can’t wait to spend the rest of this day (and life) together. During the ceremony their handwritten vows brought almost everyone to tears and had so much thoughtfulness and love that they should definitely be added to a movie script somewhere. Through all the cheering Lulu and Christian shared a sweet first kiss and there may have been a fist pump as they walked hand and hand back up the aisle. Their celebration continued with twilight photos on the waterfront, toasts, caricaturists, a pie cutting, and lots and lots of dancing. This will certainly be a day these two will cherish for a lifetime as they continue to steal special moments and days like this one with each other. Thank you to the people who made this day so stellar! 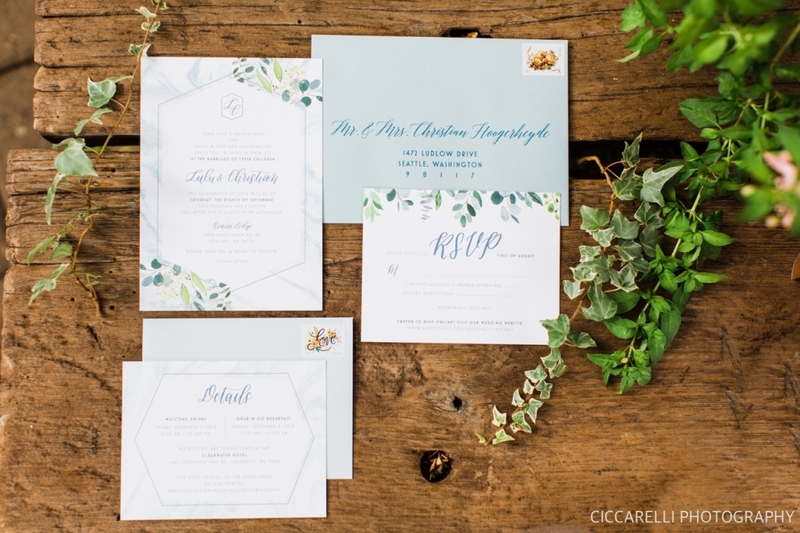 © 2019 Ciccarelli Photography|P4 Photo Blog by NetRivet, Inc.